The Oracle ACE Director briefings were on Saturday and they were really good. Whit they covered everything from database to development and each of them talked about the relevance to apps, so I was very happy. I love these sessions, not my normal topics, but I think it is important that we all have a wider understanding than our narrow field of expertise. 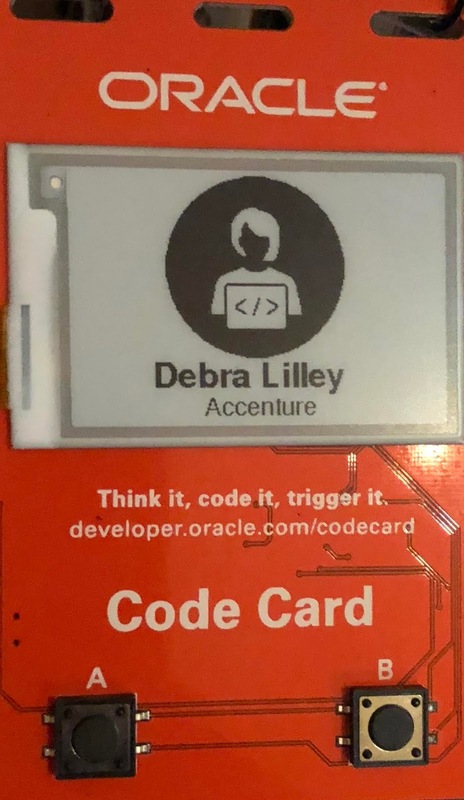 The ACE program is part of the groundbreakers community and we all had shifts in the developer’s hub they ran at CodeOne. They had blockchain beer and escape rooms and lots of fun. Michelle and I did our main shift at the 360 video stand. This stand was inspired by the Matrix bullet scene. 60 cameras controlled with raspberry-pis in a circular rig that each take a photo at the same time. They are uploaded to the Integration Cloud and processed using Jet routines and returned as a very clever little video. Apparently I sounded quite technical when explaining this to delegates although I have to refute that allegation. Obviously, Michelle and I had a go. Then Michelle even managed to get Duke involved without damaging the setup. However our shift was cut short when an over excited delegate fell backwards and knocked the rig. Over half the cameras were disconnected and they all had to be recalibrated manually, a 2-hour setup job.. There were other stands showing off technology and I loved the badges that Noel Portugal championed. Noel and his team were amazing, setting up the technology behind the stands and keeping them running for 3 days. I am exhausted just thinking about how hard they worked. We also had photographs taken that we can use for conference bio’s etc. I love mine what do you think? The EMEA ACEs had yet another excellent short talks session. Thank you again to the program for making my OOW happen.